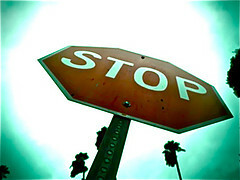 How can you Stop Debt Collector Calls? Debt collectors are paid to collect money that you owe! So, is it any wonder that they will use any and all methods (legal and illegal) to get you to pay? You are sitting down to relax after a long day and the calls start! You check your phone messages and you have 14 calls...ALL IN ONE DAY! You start receiving calls from creditors at work? The Fair Debt Collection Practices Act (FDCPA) outlines what a debt collector can and cannot do. If you are being harassed by collectors, you should click on the link above and print a copy! Contact third parties (including family or friends) other than to get information on how they can contact you. They CANNOT DISCUSS YOUR DEBT! Contact you after you have sent them a letter stating that you do not owe the money and request verification of the debt. Call over and over again, many times/day! Claim that they are going to take "LEGAL ACTION", when in fact, they do not. Claim that they will garnish your wages or levy your bank account. They cannot even start to take legal actions until a claim has been filed and a SUMMONS is delivered to you. Ok, but How do you STOP debt collector calls? Although I fully intend to repay this debt, it is impossible for me to do so at this time. 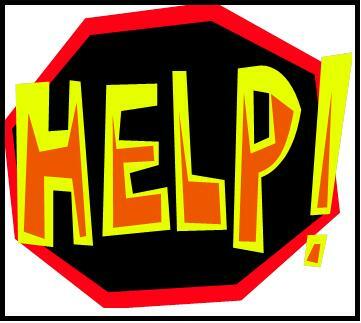 I am in a very desperate financial position and cannot pay the minimum payments required for my account. According to the Fair Debt Collection Practices Act (“FDCPA”) 15 USC, 1692c(c), I am making an official request that you immediately terminate any telephone contact with me or any members of my family regarding any matter concerning the collection of the alleged debt. You have repeatedly called me at home and at work which must stop! If you do not, then I will be in contact with the attorney general’s office of my state and file a complaint. 2) Send the letter using REGISTERED MAIL, so you will have proof that they received it. Once they have received your written notification to stop calling you, they may only call you one more time. Usually they will be either very nice or very nasty. Either way, now the calls should stop. 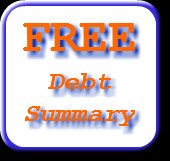 We have been helping people with debt issues for many years. If you would like a FREE EVALUATION of your situation, let us know! Are Social Security Benefits Subject to Garnishment? Before you start to panic, you need to know your legal rights according to the Federal Trade Commission and the Fair Debt Collection Practices Act. Although these benefits are EXEMPT, it is very important that you are extremely careful about the funds in your bank account! As long as the funds in your checking or savings account only came from benefits (such as above) and ARE NOT CO-MINGLED with income you may earn in addition, then your account cannot be levied. If you have another job, make sure to either just cash that check or open another bank account, preferably in another bank for those funds. If you have a substantial amount of un-secure debt such as credit cards, personal loans, collections, or medical bills, and are not able to keep up with the payments, you need help! Since most debt collectors are professionals, trained to say anything in order to get you to send them money, you should consider the services of a DEBT MANAGMENT COMPANY. Did you receive a Summons? If so, we can help you. Request more information or give us a call for a FREE consultation! 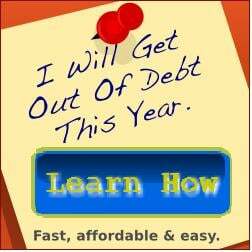 You have to understand that debt collectors are professionals who get paid when they get you to pay as much money as possible on an old or delinquent debt. NEVER FORGET THIS ! ! ! Although the Fair Debt Collection Practices Act (FDCPA) gives specific rules as to what a debt collector can and cannot do, most collectors violate these rules every day. So how can you put a stop to collection calls? (1) Get the name of the collection agency, address and phone if possible so that you can send a letter demanding that they not call you at home or work. The letter should state that you cannot repay the debt at this time and that according to the FDCPA, you are demanding that they stop harassing you with phone calls both at home and work. It is a good idea to send the letter by registered mail so that you have proof that the collection agency received it. They may call you one last time just to state that they received the letter and will not be calling you again. They will most likely say something like "Now we have no choice but to turn this over to our legal department to begin a lawsuit." or something like that. DON'T BE SCARED! There are alternatives to stopping this action. The worst thing you can do is get into a dialog with a debt collector! THEY DO NOT CARE ABOUT YOU........PERIOD! If you get a call and do not recognize the caller, don't answer. If the caller is family or friend, they'll leave a message. But what if you happen to answer? 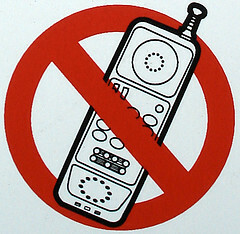 Simply cut the collector off by telling them not to call here anymore and hang up! 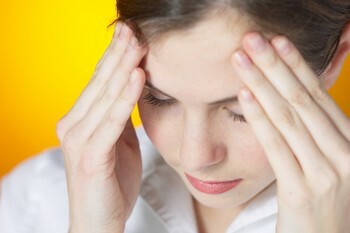 (3) Finally, you may want to get help from a professional debt management or settlement company. A qualified Debt Settlement Company can help put a stop the these calls and negotiate a settlement or reduced payment arrangements. This will relieve you of the stress of dealing with the collectors yourself! If you are delinquent on paying your credit cards, you no doubt have learned how ruthless collectors can be. The Fair Debt Collection Practices Act (FDCPA) was created to supposedly protect consumers from the actions of collectors. A collector may contact you in person (rare), by phone, mail, fax, or email (rare). They are not to call before 8 am or after 9 pm. They may contact someone else (friend, family member, neighbor), but again, according to the FDCPA, only to find out where you live, what your phone number is, or where you work. They are prohibited from telling anyone else that you own money, but the phone call speaks for itself. They are not to call you at work, but we know they do. They are not to harass you by calling many times a day, over and over. But, they do so by using a computer dialer, which although is annoying, is not illegal as they have a “business” relationship with you. Do they, the collectors, abide by the FDCPA? Rarely. Report your problem to your state Attorney General’s office (www.naag.org) and the Federal Trade Commission (www.ftc.gov). You have a right to sue a collector in a state or federal court within one year from the date you believe the law was violated. Although this may be a lengthy and costly option, if you win, the judge can require the collector to pay you for any damages you can prove you suffered because of the illegal collection practices, like lost wages, employment or medical bills. It may be in your best interest to seek the advice of an attorney if you decide to sue the collector. One of the best things you can do to put an end to the harassment of collectors is to send them a cease and desist calling letter. For a FREE REPORT on HOW TO STOP COLLECTION CALLS, click here. If you would like more information about the FDCPA, click here. It seems as if debt collectors can get away with about anything. The Fair Debt Collection Practices Act is supposed to protect consumers, yet few people know anything about it. And these are just a few of the unlawful, yes, UNLAWFUL tactics used by most collection agents. The Fair Debt Collection Practices Act (FDCPA) spells out what a collector may or may not do, and even though you do have rights and it may be possible to bring a lawsuit against the collector for violating those rights, most people just don't have the time or money to proceed. The FDCPA states that if a collector receives a letter requesting that all calls stop concerning the collection of your account, they must STOP! To get more information on how or what to do, click here. Not only is getting collection calls at your place of employment embarrassing, it may also get you in real trouble with the boss! You may be able to stop the calls at work by simply telling the agent that your employer does not permit calls to the employees. Although this may work, you should also state in your letter (above) that this request also includes your place of employment. HOWEVER, if you have not receive calls at work yet, then don't request it in your letter (above) as it tells the agency that you hav a job! You don't really want them to know that for as long as possible. "unless you dispute the validity of this debt in the next 30 days, the debt will be deemed valid". Even if you think the debt is valid, it doesn't hurt to request validation. WHY? Because the FDCPA states that if you send a written request for validation, the collector must cease all contact until the debt is validated by a statement or some other form of validation. If you owd much more that you can repay, it may be time to seek professional help. Programs such as Debt Management, Debt Settlement, or even Bankruptcy may provide you with a way to finally put an end to the harassment from collectors and get completely out of debt once for all. For a FREE, Financial Analysis, click here.